Use this value pack of black bristle paint brushes for your next group crafting activity! 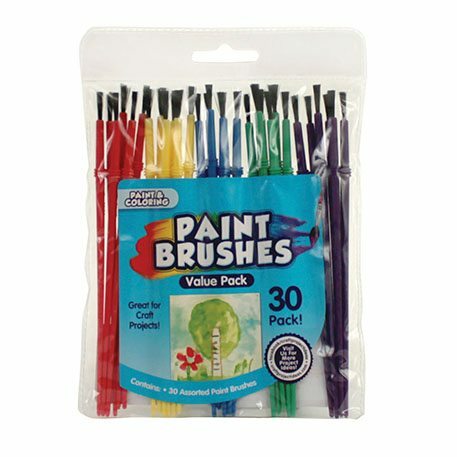 Whether it’s in the classroom, used in camp, painting with your siblings or crafting with a friend, this 30 pack of paint brushes is the perfect kit for painting masterpieces! Brushes have a sturdy handle and are useful for crafting at home or in the classroom.